A value for money aluminium greenhouse. Available in 2 colours - silver and forest green. Choose from horticultural glass, polycarbonate glazing or toughened glass. Integral gutters and smooth sliding door. Size:	W1930 D2570 (Eaves) H1240 (Ridge) H1950 mm	Highest/widest points approx. Your plants will love the extra ventilation with this five bladed louvre window. Blades pivot giving an 18 inch opening. Easily shut when required. Do your bit for the environment and collect rainwater that you can use to water your plants! The Eden Halls rainwater kit simply attaches to the gutter of your greenhouse and channels rainwater into a water container. Known as Z' clips. Clips used to prevent glass roof panes from sliding off. Enables each panel to overlap the panel below. Known as W' clips. Clips used to hold panes of glass in the glazing bars. Only required if original clips are lost or broken. 18 metres strip. Used with acrylic panels on curved eaves. The gasket will slip over the supporting bars to cushion the glass. Kit includes two door wheels, two door guides, screws and nuts. Have your greenhouse professionally installed. Installation includes erection of the greenhouse frame, the glass and the base only. Does not include accessories - please add these below. The Halls Popular 8x6 Greenhouse Forest Green is a traditional metal greenhouse with a powder coated forest green frame that requires little maintenance. The perfect space for growing your fruit and vegetables and suitable for small gardens. Also available in silver aluminium. The Halls Popular range of greenhouses are available in 4 sizes: 4x6, 6x6, 8x6 and 10x6 - please see Halls Popular Green for details. single sheet 4mm polycarbonate glass - twin wall construction that retains heat, good for light refraction and reduces the risk of scorching. Added safety, especially with children playing in the garden. Flat packed for self assembly - full instructions included. All greenhouses need to be fitted to a base to ensure firm foundations that are stable and secure. The optional base - please see above - is an easy to assemble, galvanized steel plinth with integral anchor points that securely anchor your greenhouse and makes installation easier. It will also give it added strength and height. No drilling is required when fixing your greenhouse to the base. The alternative is to build a bricks and mortar base. 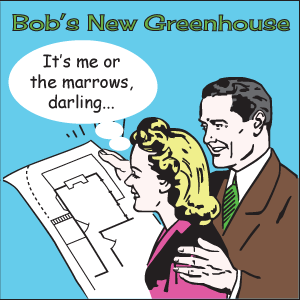 Eden Halls Greenhouses are a timeless range of classic greenhouses. Halls is a traditional British company that has existed since 1936 and takes pride in being the first company to take on the challenge of mass producing garden greenhouses. Each green house design is manufactured with traditional English gardens in mind and has been produced at the highest level of quality.